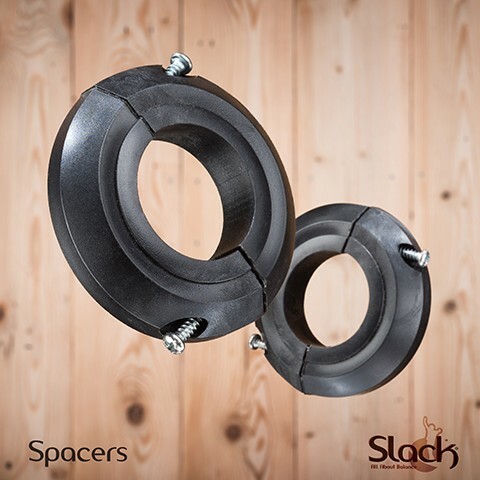 Allows a soft release of your longline setup. The Lasso - Soft Release system is independent of your slackline tensioning system. 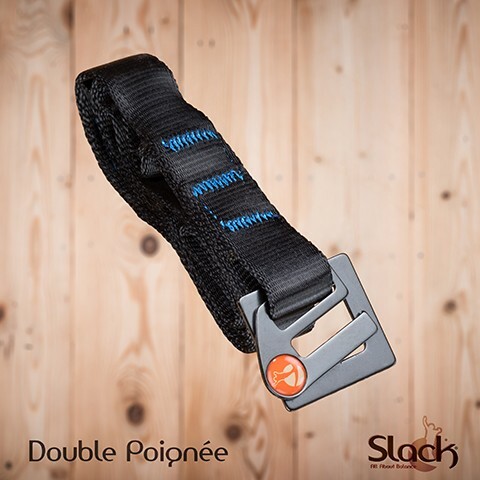 It allows you to derig your slackline or longline easily and softly. It is particularly useful when using a pulley system with a mini traxion pulley or while using a Linegrip. No more stress for derigging, the Lasso allows a smooth release. Our Lasso has a minimum of element, for ease of use and maximum durability. The Eyelet is placed on the sewn loop of the Lasso, it protects the webbing from friction when derigging your slackline. It helps to preserve your lasso from premature wear. 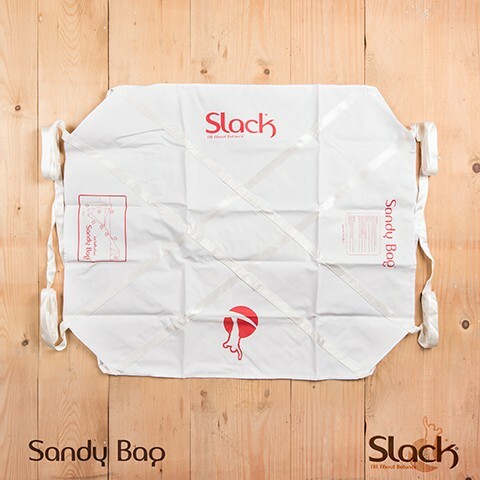 A minimum of 5 wraps is required (= 10 strands) between 2 shackles. Then lock it with the integrated scratch. And now your soft release system is ready to use. During the first use of the lasso, the eyelet will tighten the sewn loop and becomes captive. You'll never loose it. You must use the rest of the webbing to make a backup. 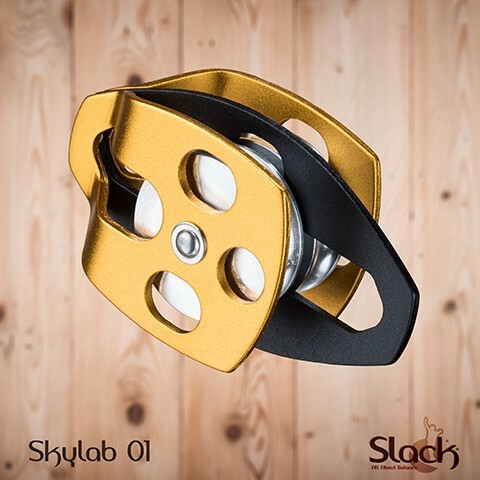 Find more slackline connectors here. To enhance the life of the scratch, reassemble the Lasso after derigging, it's ready for next time and dust cannot decrease the scratch force. Due to his Eyelet covering the loop sewn, the moving webbing does not melt the loop of the lasso. So no risk of damaging it = safety. A minimum of 5 wraps between two shackles is required, to divide the tension in your webbing and uninstall easily. In this example, we advise to add a cosse for lasso. To avoid any problem with the loop (of course, it's included in our new model).